For those who love the great outdoors, the Vitabri Air Pump for AirDome Canopies is the perfect buy. Vibrati is known for its unique, manageable equipment design, and this product is no exception. Purchasable in finished chrome, this air pump is operated by hand to inflate any air dome canopy by Vibrati. 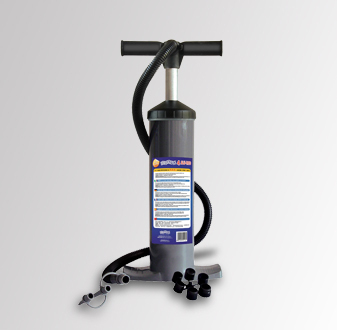 The air pump is well-suited for all levels of users, simple to use, and easy to transport. No matter what type of air dome canopy the camper may own, the Vitabri Air Pump for AirDome Canopies is sure to please. Even if there is no electricity, you can still have fun.